Thanks to some really smart people, “smart phones” are now a way of life. They increase productivity and keep us connected in ways that many of us (that are older) could not have imagined. One of the unfortunate byproducts of this advance however is that texting and driving has become one of the most common forms of distracted driving. It is extremely dangerous and it can kill. In 2013, 3154 people across the United States died in distracted driving accidents, many of which involved texting and driving. In 2015, there were 105,783 distracted driving accidents in Texas, and there were 476 deaths. An accident is up to 23 times more likely when the driver is texting on a cell phone. 11% of drivers from 18-20 who were in a car accident in 2013 were sending/receiving texts during the event. 40% of American teenagers claim to have been in a vehicle where the driver was using a cell phone behind the wheel. 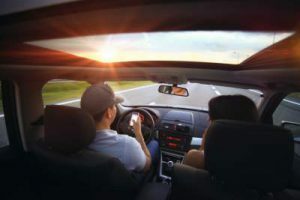 The severe dangers of texting and driving are obvious, and many states have enacted bans on drivers using handheld cellular phones while under the wheel. Unfortunately, Texas has yet to adopt this kind of law state wide. While some cities and counties in Texas have banned handheld cell phone use while driving, others still have not. If you were hurt in an accident by someone texting and driving, please consult with an experienced personal injury attorney to ensure your rights are protected. Our opposable thumbs are wonderful for using tools, but there are only so many tools we can use at once. Keeping both hands on the wheel is the safest way to drive, and obviously, there is no third hand to operate a cell phone safely. Even if we had a third hand, when driving at 65 MPH, taking your eyes from the road for five seconds is like driving with a blindfold on for 100 yards – the length of a football field. That is an eternity in the driving world, and plenty of time for a deadly car accident with serious injuries or death to occur. The human brain is remarkably well designed, with 100 billion neurons capable of processing information at 1000 times per second. Unfortunately, this brain power doesn’t neatly translate to the ability to multi task. Yes, the concept of ‘multitasking’ is largely a myth. Science reports that the brain switches between tasks in linear fashion. Neurons that are busy composing a text message cannot simultaneously alert you to a danger in the road ahead. The bottom line is that a driver should be focused on one thing only: driving safely. If not, terrible accidents, injuries and death can occur. Which Is Worse: Texting and Driving or DWI? Driving while intoxicated (DWI) is highly dangerous and kills thousands of Americans every year in terrible car accidents. 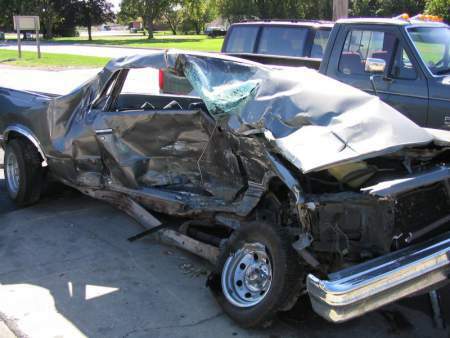 But some research suggests that texting and driving is just as dangerous as DWI, and can even be worse in some cases. According to Distraction.org, the impairment that is associated with DWI and texting and driving is very similar. Both activities can cause the driver to follow too closely behind a vehicle, impede the ability to stop in time, and can cause weaving in and out of traffic. Some experts contend that the distraction of texting and driving is akin to drinking four beers and getting behind the wheel. Please, please don’t text and drive. It can wait. If you were injured by a distracted driver, including texting and driving, you should consider filing a personal injury lawsuit. Please connect with our personal injury lawyers today for a free consultation. See our Houston Road Closures and Traffic Accidents Map here.